Inside the past decade, Justin Smith, 40, has taken the Saxum winery on a remarkable journey. It has gone from an extemporized home-winemaking operation with no business plan to one of those hard-to-believe-it-happened success stories. Yet every once in a while a winemaker and a wine come along with the ability to change a region. Smith and his wines more than fill that trendsetting role. 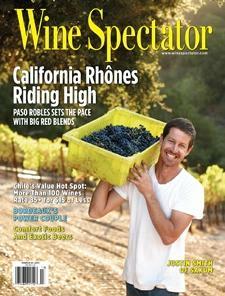 Wine Spectator senior editor James Laube explains.